What kind of KeyBar defines you, as a person? Are you the clean and classy, brassy type? Do you find yourself drawn to aircraft grade materials, such as aluminum or carbon fiber and titanium? Or do you get down for the super hot and mega flashy, splash anodized and custom pieces? At Max Venom, we are dyed in the wool knife guys.. and as knife guys, we define ourselves by our BLADES! 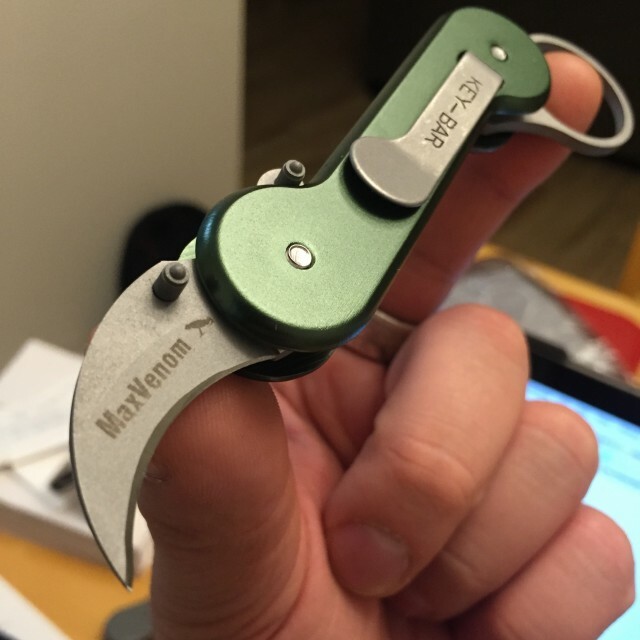 Featuring a super sharp 1.2 inch HAND GROUND 154 CM blade and matching 154 CM finger loop. Lets face it, we ALL want to have the coolest KeyBar. Make yours BLADED, today! 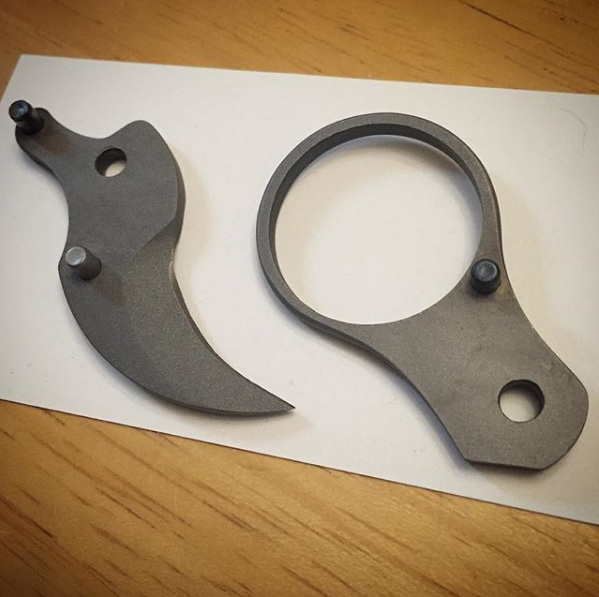 2 reviews for Keyrambit Friction Folder Insert For KeyBar!